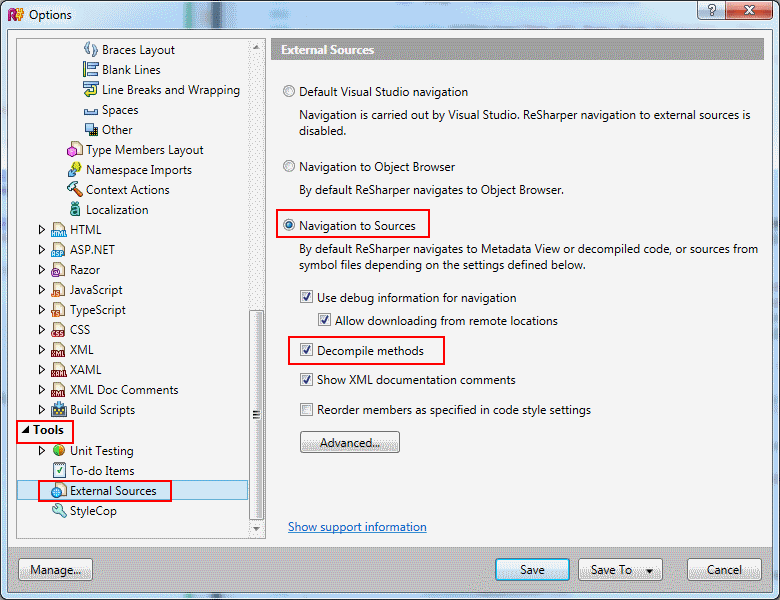 ReSharper is an amazing tool that .NET developers should never be without. One of my favorite features that if offers is build in support for decompiling methods when navigating to source. Enabling this option will literally allow you to view external source code simply by going to definition. Would you like to do this outside of Visual Studio as well? Check out JetBrains FREE decompiler tool, dotPeek.